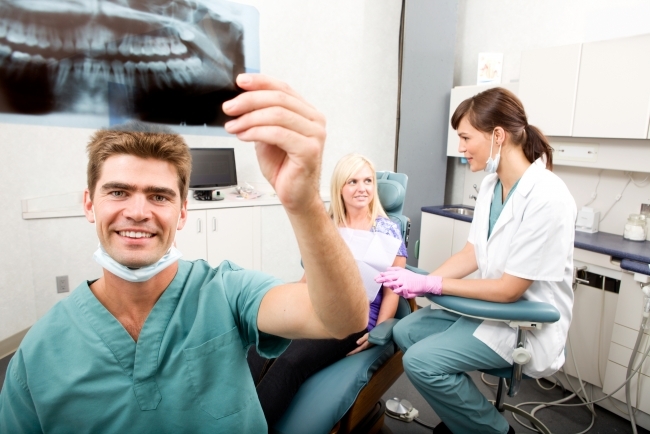 Professional care for your DENTAL HEALTH. TMJ (temporomandibular joint) Disorders are disorders linked to your jaw joint — which are typically accompanied by pain or clicking noises. Since some types of TMJ problems can lead to more serious conditions, early detection and treatment are significant. Many times no one treatment can resolve TMJ disorders completely and treatment takes time to be effective. TMJ disorders can develop under constant stress to your TM Joint. They can also develop from clenching your jaw, grinding your teeth, and tightening your jaw muscles. It may have also been produced from an injury or disease. Whatever the cause, it can lead to misaligned bite, pain, clicking or grating noises when you open your mouth, or trouble opening your mouth wide. There are various treatment options that skilled doctors can utilize to improve the harmony and function of your jaw. Once an evaluation confirms a diagnosis of a TMJ disorder, a doctor will determine the proper course of treatment. It is important to note that treatment always works best with a team approach of self-care as well as professional care.